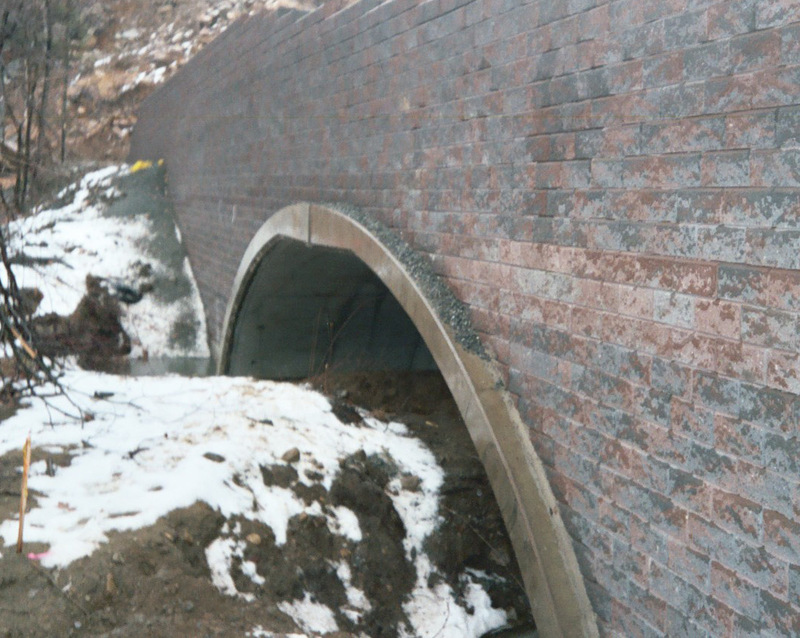 Two 54-ft. span BEBO® arch bridges and 150,000 square feet of Keystone® modular retaining blocks were combined for a stream crossing in this high-end residential development. The structures, spanning delineated wetlands in a mountainous terrain, were installed in just hours due to careful planning and timely delivery. The unique BEBO shape provides load-carrying capacity for rock blasting equipment and oversized vehicles that will cross the bridge for new development construction. This soil-overfilled structure will provide the patrons of Alexan Subdivision an aesthetic and maintenance-free structure for many years to come. Span: 53 ft 7-in. 54-ft.